Choosing the natural look and feel of your wall veneer design can be difficult, even more so which natural stone materials to use. Our Florencia split face stone with a light tropical color its a great choice for contemporary and modern home designs. Stone Wall and Columns Cladding. Coral Stone News and Offers! Subscribe to our newsletter for promotions and special offers! 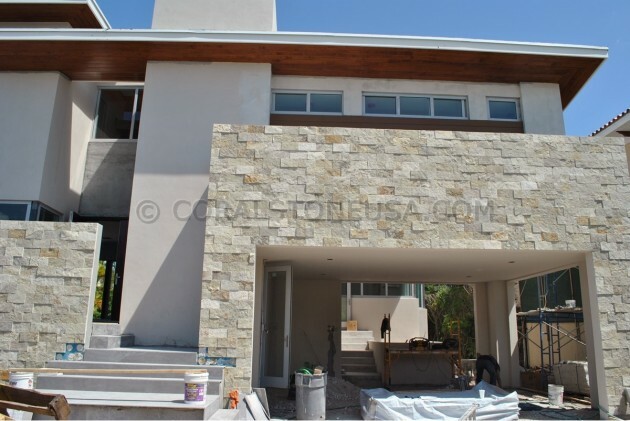 All photographs are the intellectual property of www.coralstoneusa.com and are protected under the copyright laws of the United States of America and International Copyright Laws.